These are my idea of the perfect Vanilla Cupcake! They're soft and fluffy, with a pretty domed top, moist center, and ever-so-slightly crunchy outer edge. 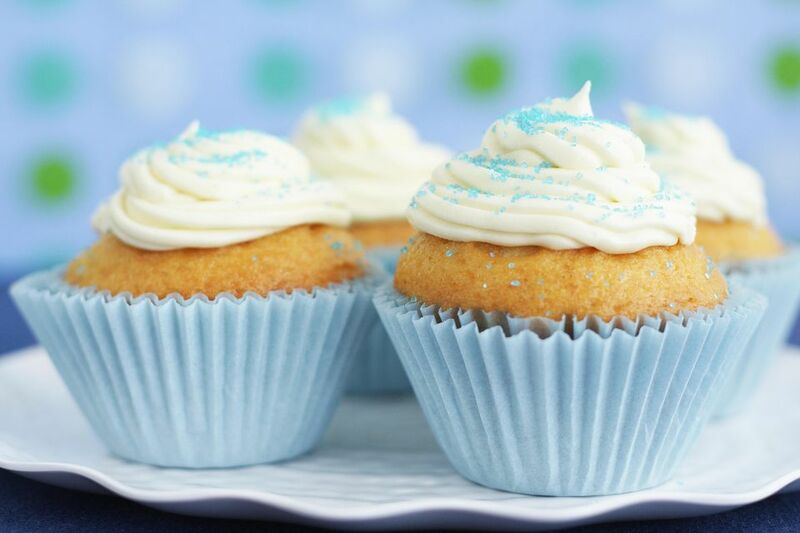 They're the perfect base for any topping--try whipped cream frosting, chocolate frosting, or even basic buttercream. Actually, they're so good, you could just eat them plain with a sprinkling of powdered sugar! 1. Preheat the oven to 350 F. Line cupcake pans with 24 liners. 1. Sift together flour, baking powder, baking soda, and salt in a medium bowl. Set aside for now. 1. Combine the butter and sugar in the bowl of a large stand mixer fitted with a paddle attachment. Mix on medium-high speed until light and fluffy, about 2-3 minutes. 1. Add the eggs one at a time, beating well after each addition, then add the vanilla extract. 1. With the mixer running on low, add third of the flour mixture, then when the flour streaks have disappeared, add half of the yogurt. Add half of the remaining flour, the rest of the yogurt, then finish with the last of the flour. Stop the mixer and scrape down the bottom and sides of the bowl with a rubber spatula to fully mix the batter. 1. Fill the cupcake tins until they're just under two-thirds full, then bake at 350 for 20-22 minutes, until they just start to turn golden and a toothpick inserted into the center comes out clean. Cool the cupcakes completely before filling and frosting.